John Harty and Katherine Harty from Nenagh, Co. Tipperary, recently visited the museum. John is the great grandson of Major William Egan, Royal Army Medical Corps, (born 1881, Dungarvan, died 1929, Jamaica). The Egan family photos can be viewed on the Waterford County Museum image archive. 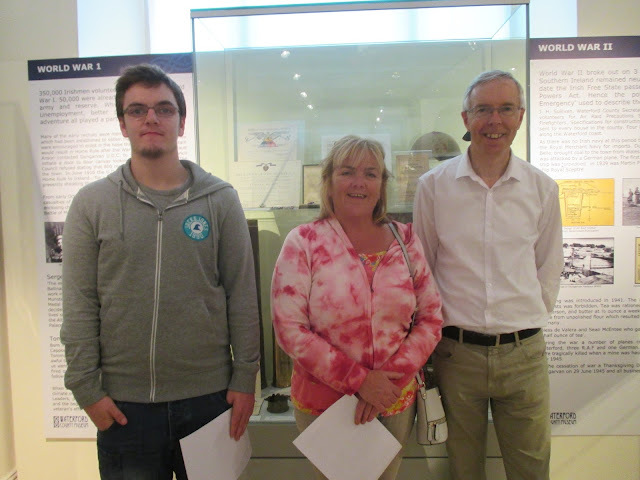 John Harty & Katherine Harty of Nenagh, with Willie Fraher of Waterford County Museum, August 9th 2016.